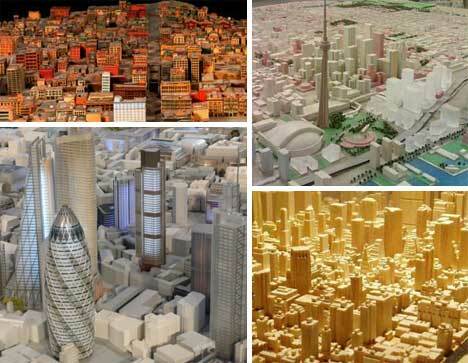 Model cities aren’t just the stuff of kids’ toys. They’re used all over the world for urban planning, architectural proposals and research. 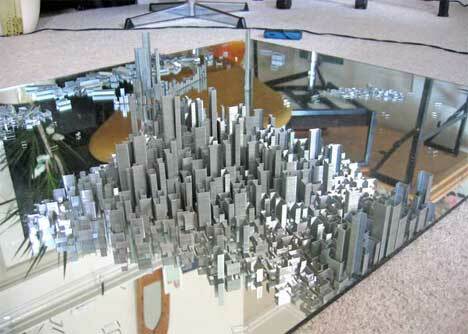 But while miniature cities are useful, they’re also a unique kind of art. Older models give us a very real glimpse into what cities looked like in past generations, while new models can help us to visualize what our surroundings will look like in the future. And as an added bonus, tiny cities manage to turn even the most jaded grown-up into a kid again, at least temporarily. Their diminutive size lets us pretend and imagine again, just like we did when we were kids. You’re looking at one of the largest complete miniature cities in the world. 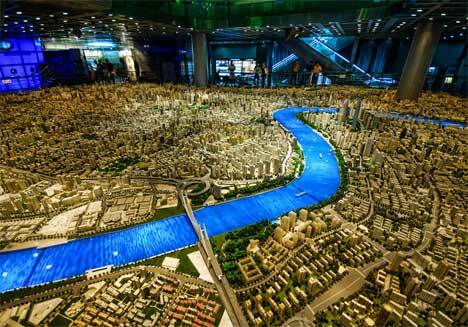 At over 1,000 square feet, this massive scale model of Shanghai covers more ground than many apartments. It’s a projection of what the city will look like in the year 2020, with current buildings and planned buildings standing in this dazzling display. 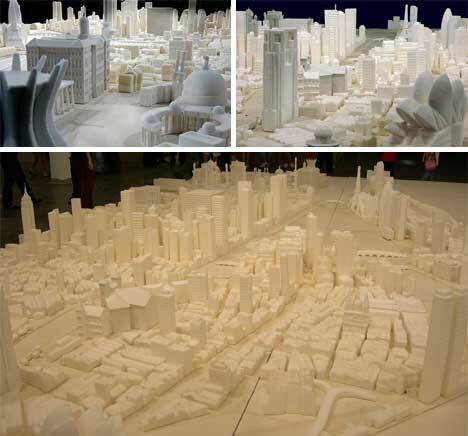 The model is currently in the Shanghai Urban Planning Museum. 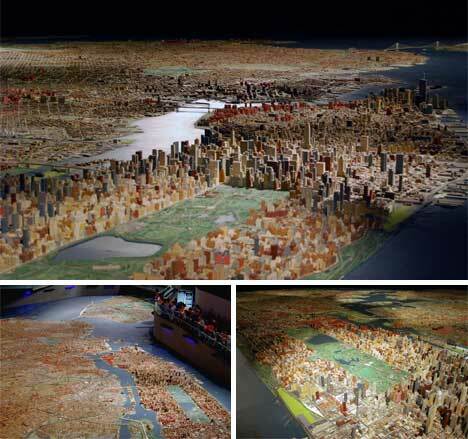 The story behind this incredible model of Manhattan is almost as amazing as the model itself. It was built over the course of about 2,000 working hours by software engineer Michael Chesko. He wasn’t building the model in a professional capacity; he was simply having fun. 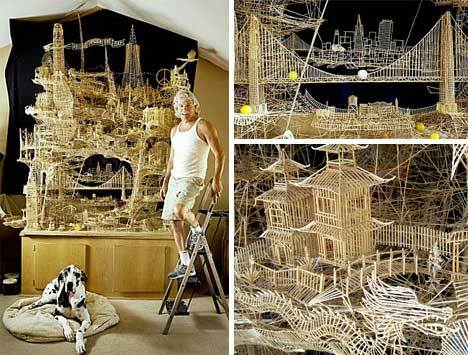 He hand-carved each tiny piece from balsa wood using nothing more than an X-Acto knife, a nail file, and a Dremel. The impressive 1:3200 model now rests in New York’s Skyscraper Museum after being hand-delivered by Chesko and his wife; amazingly, neither had ever set foot in the city before that day. Built as an exhibit for the 1964 World’s Fair, the Panorama of the City of New York remains to this day a revered part of New York history. The huge 9,335 square foot architectural model contains over 895,000 individual structures and required a team of more than 100 workers to bring it to life. The incredible model is a point of pride for the Queens Museum of Art, where it is on permanent display. To provide for the care of the model, the museum has recently started “selling” real estate on it. The Bay Model is one of America’s most well-known models. 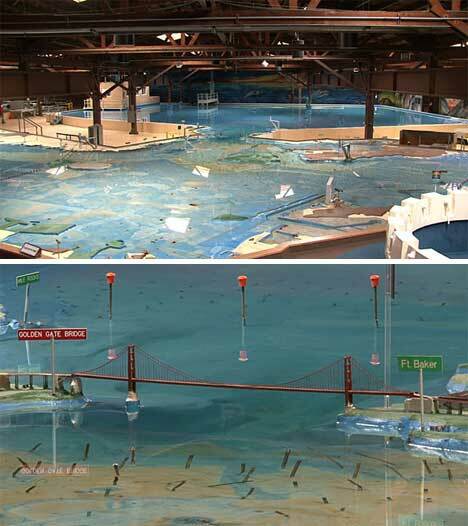 It doesn’t depict an entire city; rather, it is a scale reproduction of the San Francisco Bay. It was built in 1957 by the U.S. Army Corps of Engineers to give a better understanding of the water flow patterns in the Bay. The model was used in countless scientific experiments until it was decommissioned as a research tool in 2000. It still remains a popular tourist attraction, and it was even used as a tool on the television show Mythbusters. 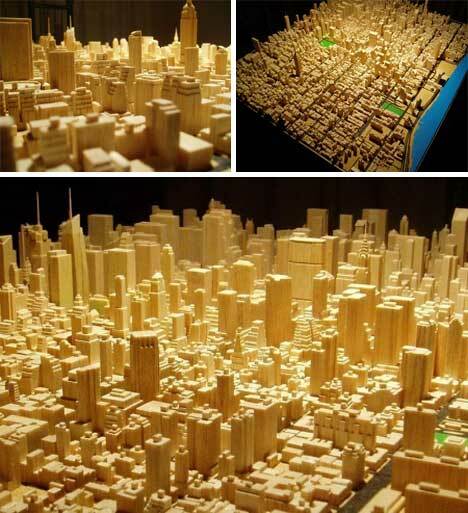 It takes a special kind of dedication to spend more than three decades constructing a painstaking recreation of downtown San Francisco out of more than a million toothpicks. Scott Weaver created this amazing masterpiece over the course of nearly 35 years. It’s a fantastical San Francisco not quite true to the original, but the ping pong ball tracks running through the landscape are a notable improvement over the full-size city. This miniature origami city may not have taken half a lifetime to complete, but it’s just as impressive as if it had. 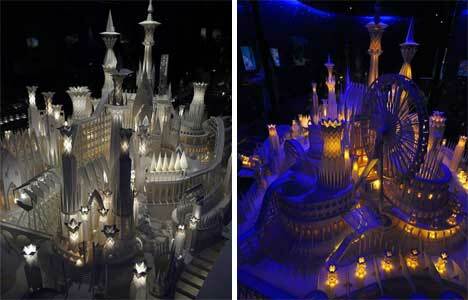 Using simply paper, glue, and basic tools, Japanese artist Wataru Itou spent four years on this unique palace. The finished piece includes lights, moving parts, and even cranes and other construction equipment, implying that the city was built by a civilization of tiny people with a mind to keep growing and improving their impressive home. 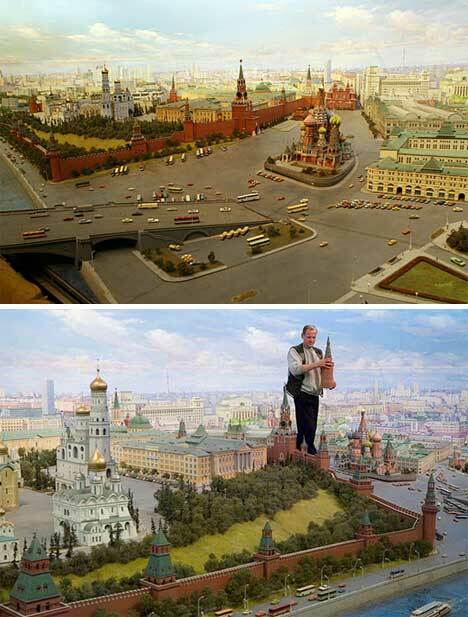 This Soviet-era model of Moscow is the largest miniature recreation of the city. Covering more than 400 square feet, the model opened in 1977 and is an incredibly detailed representation of the city at that time. Unfortunately, the museum it was in since the 1970s didn’t think it was worth the considerable electricity costs it generated, and in 2006 it offered the entire model for sale, for a modest price of just $3 million. This version of mini Moscow, however, is still very much in use. It’s a city planning model that is meticulously updated whenever a building is built, demolished or significantly altered. The massive model spans over 1540 square feet and was originally built in 1988. The tiny homes and other buildings are surprisingly detailed – so detailed, in fact, that it would probably be almost impossible to resist wanting to stomp through the itty-bitty city like a human Godzilla. 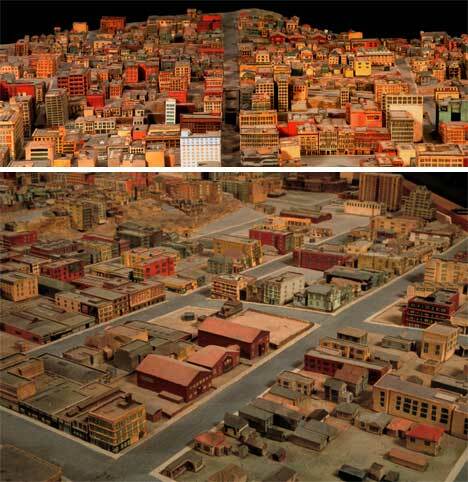 From 1938 to 1940, a team of architects and model makers built a huge, detailed model of downtown Los Angeles. The U.S. Works Progress Administration contracted the project; today, the landscape of the area is dramatically different, but a few familiar buildings can still be spotted in the large model. Chicago has always been at the forefront of city planning. In 1909, Daniel Burnham’s “The Plan of Chicago” was the first truly organized effort to plan the controlled growth of a city. 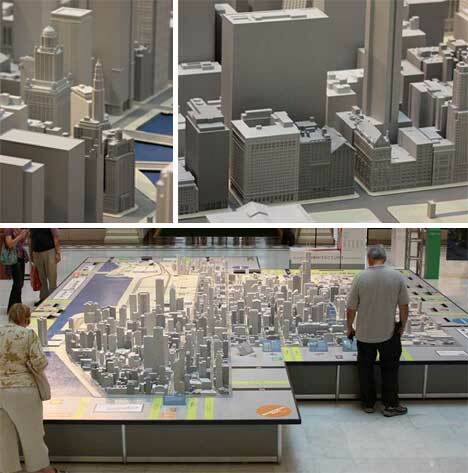 To celebrate the centennial of the groundbreaking urban plan, the Chicago Architecture Foundation developed this scale model of the city’s downtown area. But this isn’t just any model – all of the buildings were created via stereolithography (3D printing), making it a truly 21st century production. 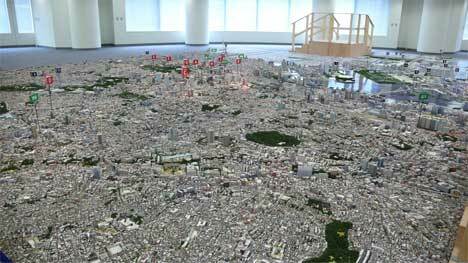 This wonderfully tiny (1:1000) scale model of Minato-ku, Tokyo was meant to give a better view of potential sites for the 2012 Olympics. 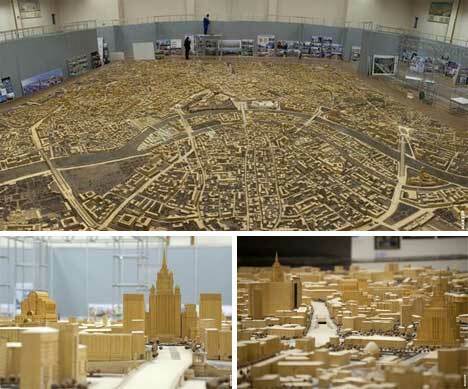 Unfortunately, Tokyo lost the bid for the games to London, but this incredible model – which took over 14 months to complete – is an impressive achievement of its own. 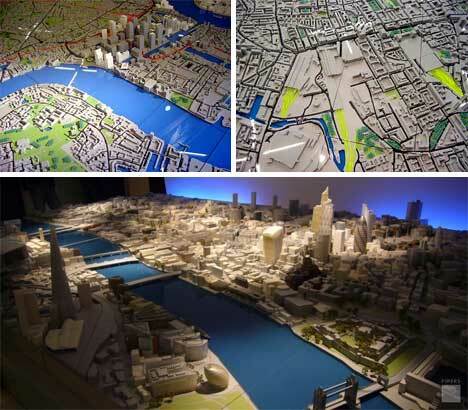 These pictures show two different models of London from the same architectural model-making firm, Pipers. 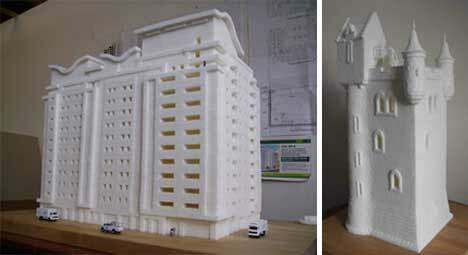 The top model is on permanent display at the New London Architecture building; the bottom was a model commissioned by the City of London Corporation. Both show the City in incredible detail; the top was made with a finely-tuned laser cutter, while the buildings on the bottom are made of hand-carved wood. 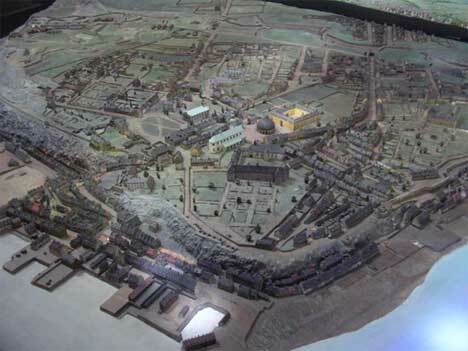 Constructed in 1806 by two members of the Corps of Royal Military Surveyors Draftsmen, this model of Quebec City was sent to England in 1810 to make a point: the city’s defensive system needed to be updated. The model was returned to Canada as a gift in 1908, to commemorate the 300th anniversary of Quebec City. Today, the model is a permanent display at the city’s Artillery Park. This scale model of an unnamed futuristic city looks pretty run-of-the-mill at first, until it becomes clear that the model was built from found objects and various leftover model parts. Josh Spooner was inspired by the great dystopian movies, like Blade Runner and The Fifth Element, to create a landscape that was technology-based but clearly indicated humankind’s negative effect on the environment. Spooner considers the model to be a work in progress. 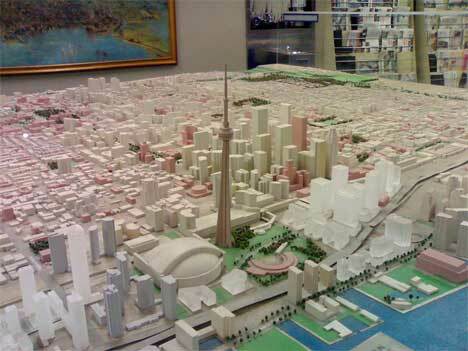 While it isn’t a complete scale reproduction of Toronto, this miniature city on display in City Hall does point out some recognizable landmarks. According to City Hall, it also displays some planned future developments, giving visitors a glimpse of what Toronto may look like in the coming months and years. 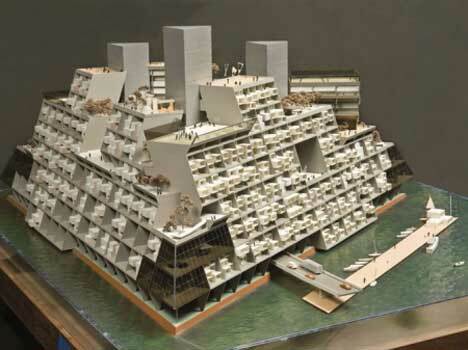 Renowned kooky architect Buckminster Fuller designed this model of a futuristic floating city in the 1960s. Despite its age, it resembles many of the “futuristic” designs still being produced today. The city was supposed to contain space for residents to live, work and play – all without leaving their own floating paradise. This anonymous city, constructed by artist Peter Root entirely of staples, proves that you don’t have to have an architectural goal in mind to built your own city. The fun little model, says Root, is vulnerable to even the slightest breath or vibration; one false move by a normal-scale human and the whole city comes tumbling down. Gaba isn’t the only one to take a cue from childhood art projects and make something spectacular out of sugar. Artist Brendan Jamison also builds detailed structures from the sweet stuff, though it looks like he hasn’t yet constructed an entire city. 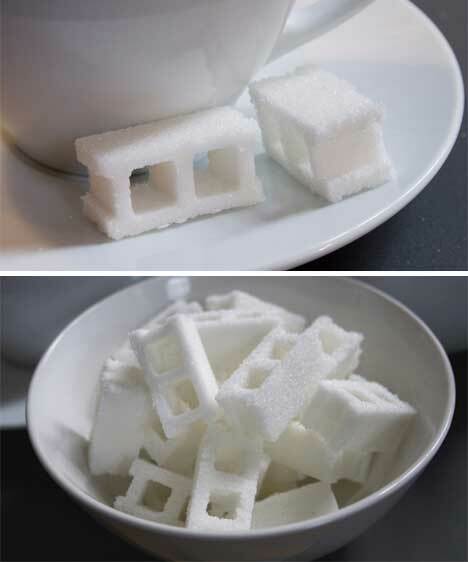 If he or any other artist ever gets the inclination to build model cities out of sugar, though, may we suggest using these fabulous sugar cube cinder blocks from Spiceship Studio? And finally, we have the miniature city that’s not at all what it seems. This delightful short film by director Sam O’Hare seems to give us a look into an incredibly detailed mini New York, complete with pedestrians, construction sites and tourists. But the film is actually a series of 35,000 still photographs using tilt shift to make them look miniaturized. The result is a precious film that lets us see the city in a whole new light.